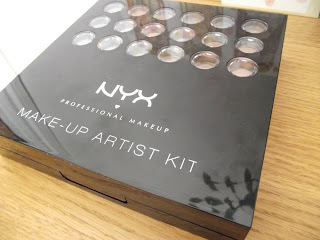 Here is my review on NYX Makeup Set S101 I have had this palette for a while now and must admit didnt use it lots to begin with. I think because it was stored underneath my little makeup boxes I just kept missing it. After a little sort out recently, we were reacquainted and I had the rush of excitement again. 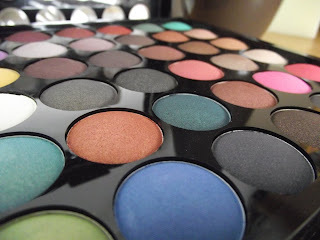 I'm totally smitten with this at the moment and have been reaching for this daily whether for shadows or blushes. I bought mine from Fragrance Direct for £19.50 but just checked and they must have sold out, they do have a smaller version which is £16.50. 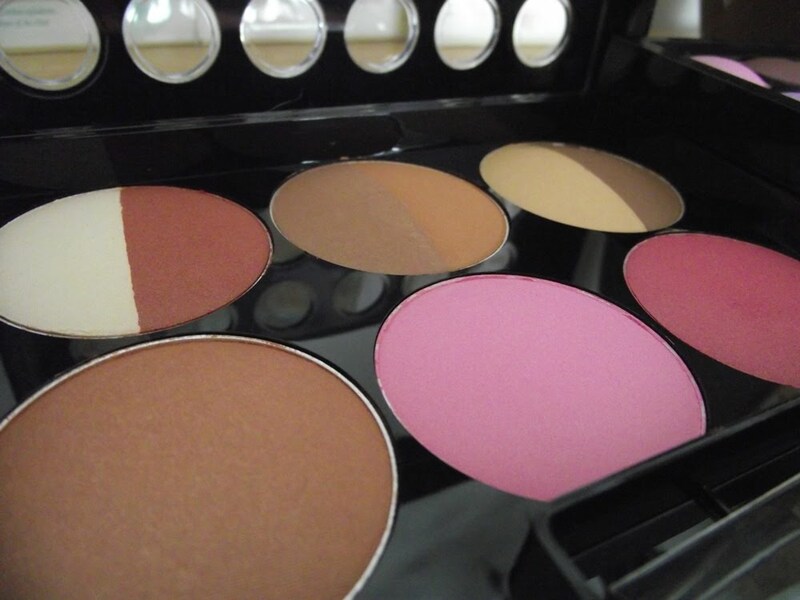 The kit contains 35 eyeshadows, 3 bronzers, 3 blushers and 5 Lip colours aswell as a few applicators and a built in mirror. There is one annoying aspect of the palette and that is the colours are not individually coded/named which is a shame. There are already a few that I adore and would re-purchase. They are all very pigmented and last on the eyes/face for a considerable amount of time, the shadows have a variety of different finishes such as matte, frost and shimmer. And for the bottom row... as you can see the colour pay off is fab! There are 4 blushers but on the NYX write up it says 5?? not sure were the fifth one is hiding though! The blushers are all wearable and there isnt one which I geninuley dont like. The soft pink is a matte finish were the others contain more shimmer. The lip colours are all wearable and have a slight shimmer to them which is nice and light on the lips. I still get excited every time I reach for it because there are so many colour combos and Im still working my way through them all. Do you have this palette or any of the NYX palettes? If so which ones? Ooooooh where did you get that from Sherrie? It looks fab! Oooo I love the look of that!